What does it mean to develop drug tolerance? The term tolerance or to develop tolerance has been a common concept in substance use disorder treatment for a long time. Tolerance has one meaning in that context but can have a number of other meanings in the field of medicine or pharmacology. None of these types of tolerance have anything to do with the idea of acceptance of diversity the way the word tolerance is used in political or social contexts. In Alcohol and Drug Counseling and CD (Chemical Dependency), thinking Tolerance is one of the first signs that someone’s body is being altered by the use of chemicals. Tolerance for drugs, and in this context Alcohol is a drug, means needing more of a drug to get the same effect or getting a smaller effect if you use the same amount you had been using. Tolerance, along with Withdrawal symptoms have long been the hallmarks of addiction. Recently, in recognition that people can and do develop tolerance for prescribed drugs, even those with low abuse potential, we have also begun adding the concept of cravings to the characteristics of a substance use disorder. A simple example of tolerance to alcohol. Despite developing this tolerance if we were to put that person on a driving simulator they would fail the test. They may be able to make some compensations in their behavior to fool themselves and others but their brains reaction times and coordination are not fooled. Drugs of abuse are not the only ones that build tolerance. Many prescribed drugs need to be started at low doses until the body or brain “adjusts” to the new medication. Even drugs with little or no abuse potential still develop tolerance. As time passes that person’s dose will need to be increased because tolerance has developed. Technically there are multiple types of tolerance. In pharmacology texts or AOD counseling books with sections on pharmacology, they describe three types of tolerance. These are sometimes subdivided. 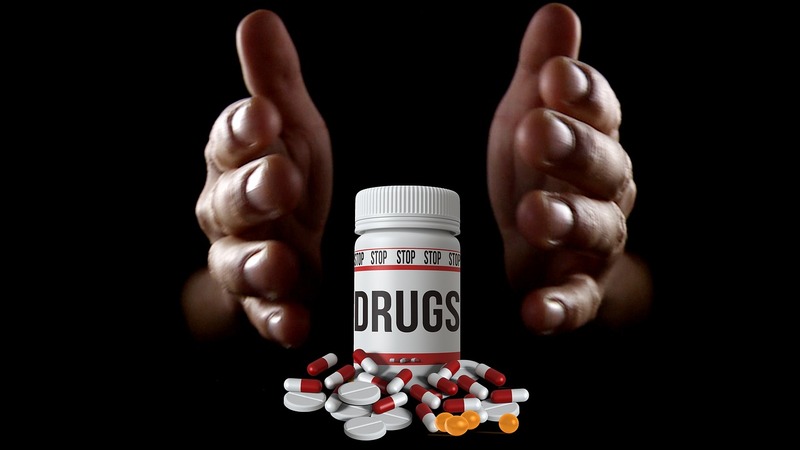 In substance abuse counseling we also talk about “selective tolerance” the concept that it may be possible for the body to develop tolerance for some effects of a drug but not others. Personally, I think of “tolerance” as the body’s natural adaption to the presence of a specific chemical. Sometimes that developing tolerance can be beneficial and sometimes it is harmful. Tolerance can develop slowly to some drugs and rapidly for others. For example tolerance to many hallucinogens develops from a single dose. Try to use that drug again tomorrow and it will have little or no effect. Functional Tolerance involves changes in the body’s behavior. Functional tolerance can be further subdivided into Acute and Protracted Tolerance. Acute involves changes to the body’s reaction to that one first dose of drugs over the time that dose is in the body. Protracted tolerance is a change in the results from the second or third dose on the same using occasion. Acute Tolerance develops during a single use of a drug. In Acute tolerance, the body responds more significantly as the level in the blood is rising. As long as it keeps going up the effect is maintained. Once the blood level drops the adverse effects kick in. With alcohol as long as the level in the blood is rising the hangover is held at bay. Regardless of how high the level, once it starts to drop, the withdrawal effect, the hangover with alcohol, kicks in. The second type of functional tolerance called protracted tolerance is best demonstrated by stimulant drugs like cocaine. The first dose produces a strong effect but after that first dose, each subsequent one produces less and less of an effect. Metabolic or Dispositional Tolerance is how long the drug lasts. How rapidly the drug is metabolized and eliminated changes over time and also varies from drug to drug. For many, but not all drugs, the more you take or do the faster your body metabolizes and eliminates that drug. Some drugs, LSD for example, develop metabolic tolerance very rapidly. Other drugs like Alcohol maintain a pretty constant rate of metabolism while the tissues and nerves alter their response. People who frequently consume alcohol learn to slow down their walk and alter their stance to hide that they are under the influence. Many other adaptions of behavior to compensate for frequently having a particular drug in your system are possible. When you develop tolerance to some of a drug’s effects but not others this is called selective tolerance. Heavy coffee drinkers find it stimulating in the morning but may develop a tolerance to caffeine’s sleep preventing effects. This form of tolerance involves becoming sensitized to a particular drug or substance so each time you take that drug there is a stronger effect than the previous time. Cross-tolerance is when someone who has been using a particular drug will develop a tolerance to other similar drugs. Someone who drinks alcohol will develop a tolerance to Barbiturates or surgical anesthetics even though they have never had those drugs in the past. This entry was posted in Drugs and Addiction, What is and tagged acute drug tolerance, Behavioral or Learned Tolerance, Cross Tolerance, Functional Tolerance, Metabolic or Dispositional Tolerance, Protracted Tolerance, Reverse Tolerance, selective tolerance, Tolerance in Drug Treatment by David Joel Miller. Bookmark the permalink.